Over the last two years Chris Forsyth and The Solar Motel Band has become one of the favorite bands of the NYCTaper crew. The band has also been one of our go-to performers when it comes to taping — in slightly over two years, there are now seven SMB recordings on the site from a variety of our favorite venues (all available here). Listening to the music, its easy to see why the band is attractive to us. They combine many of the elements and influences that we favor, including psych-rock, space rock and a healthy dose of the innate ability to improvise and elevate the music to a higher plain. Its a rare ability and one that’s hard to describe but easy to recognize when you see it and hear it. Chris Forsyth and The Solar Motel Band have that “X” factor that must be seen live to be truly understood. Of all of the local venues where we’ve experienced SMB, it was the most glaring omission that the band had not previously performed at the City’s premiere location for music that transcends genres and easy descriptions, Trans Pecos. We are so pleased to be able to present SMB at Pecos. It seems like such a natural pairing and we expect that the venue’s vibe will fit perfectly with the band’s live show. When it came to the invitation for the support act for this special night, we were certain that the band needed to be someone who shared a musical kinship with Forsyth. We harkened back to a very memorable experience acidjack had at Mercury Lounge in early 2014, a “heady” night that made such a mark that the show made our “Best Of” list for entire year of 2014. The band was Herbcraft, and although we have not seen them since that night, the music was really quite a perfect fit for this show. Herbcraft have released an even spacier album in August of 2015 called Wot Oz (with our friends Woodist) and we are very much looking forward to seeing the new material live. Trust us on this show. This will be an experience to remember. Support the bands, come to the show. 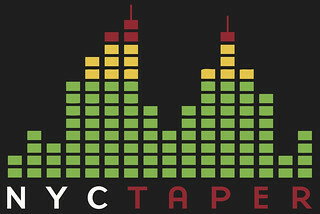 Heck, if you’re in NYC and you’ve downloaded material from this site, support us too. We’d like to keep presenting these kinds of shows. Facebook Invite Page is [HERE].